Are you upset about special education? You should be. Home » Advocacy and Activism » Are you upset about special education? You should be. What we can do about Special Education. Bullying. Restraints. Seclusion rooms. Ostracizing our kids. Not being able to read. Refusing to go to school. Juvenile justice system. Zero tolerance. Worst of all, this all takes place at the institution that is supposed to care for and nurture our children. Help them grow, learn, assist in their path to responsible, productive, contributing members of society. I recently had someone text me: “There is so much wrong with education right now. And it gets me really depressed. One thing that people don’t realize in Pennsylvania is how much IDEA money does not go to school districts nor directly to kids.” And guess what? That person is a school administrator! How, exactly, is a child supposed to grow into a happy and contributing member of society, when they are not being taught to read and write, and they cry and have anxiety attacks at the thought of the repeated bullying that they endure? And when a parent reaches out for help, they are often told that they are lying? And how do we expect teachers and paras to stay and grow in our districts, when they are not given the resources to do their job, and risk being fired if they speak up? So believe me, parents, I hear you. Loud and clear. Your many emails and messages asking me, “I’m just so upset over everything! What can I do?” are now being answered. Here is your list of what you can do. 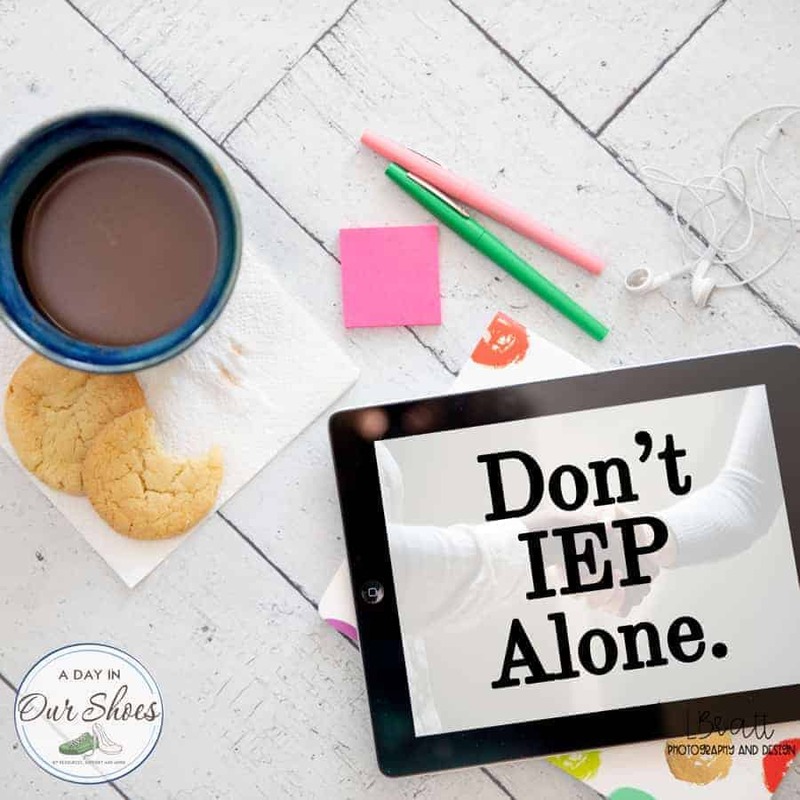 In a previous post, I listed all the individual things you can do as pertains to the IEP process, to help your situation. It tells you what to do if your school is not following the IEP, but the steps listed in that post are applicable to any discontent that you might have within the Special Education System. If you read and take home only one point in this essay, let it be that you can create change. You can, really. I have seen some moms do some pretty amazing things in special needs land, and you can too. For the admins and others out there who might be saying inside your head, “Hmph. Not in my district. We are meeting the needs of our kids. That stuff doesn’t happen here.” It does. The parents might just be too tired or too afraid to speak up. But it’s happening in every district. Including yours. I follow budgets and appropriations and all that stuff….it’s not mathematically possible for you, with the money you have, to be meeting the needs of all your IEP kids. And we both know it. Public school enrollment has increased by 1 million kids in the past decade, yet funding has decreased. It is not possible for you to say “We’re meeting the needs of all our kids with IEPs!” You’re not. So listen up parents, you are not alone. Despite how alone you might feel, I guarantee you that there are other families in your district feeling the same feelings as you. Now it’s up to you to find them. Please know that this is a process. There is no such thing as overnight success. It’s highly unlikely that one phone call or email will change anything, at least not any significant and widespread problems. Systemic problems take time to change, and it takes even longer to change attitudes towards accepting the change. But, if not you, who? Who will do this for our kids if we don’t? Organize: There is strength in numbers. You are not alone. Find other parents and band together. Don’t waste time re-inventing the wheel if you don’t have to. There may be systems already in place to help you accomplish your goals. For example, Pennsylvania has the Right to Education Task Force which can be a very influential group when used properly. Other schools may already have a SEPTA in place that you can join. Or, start one using the framework set up by the PTA. Search online, search on Facebook, see if there is a group already in existence that you can contribute to. (One of my pet peeves is when local parents reach out to me and say “We really need to start a group!” No, no we don’t. We have Right to Ed, which already has rights and a framework set up.) The special education community is already so splintered, don’t create yet another group for people to join if one already exists. If your school is hostile towards you starting a group, use your local church or library instead. Once you have a few other people assisting you, or you are working with a group, make a plan. Decide: What is it that you want? Policy change, such as school discipline policy? Classroom size change? An end to bullying? A better overall climate for kids with special needs? Define what you want and what that is going to look like, so you can focus on a goal. Your ultimate personal goal might just be “I want my own child’s needs met.” And that’s a great goal to have, but for that I would just recommend that you use the IEP process. This post is mostly for big changes-systems changes. Not just one kid but the entire building or district. Research: Gather your data. You have to prove what you want, and that it’s needed and beneficial. Will this save the district money in the long run, how? Trying to get rid of zero tolerance? Show them that it doesn’t work. You may need to do some public information requests if you are seeking information such as budget information. Be solution oriented: Have a list of possible solutions or alternatives, as a way to solve the problem you are trying to eliminate. For example, “We want to end bullying!” is a great goal for you to have for your school, but how is that going to happen? What solutions are you going to offer for the school to try, so that they can curtail bullying? Meet with change-makers: Who has the authority to create the change you desire? School board, superintendent, employees’ unions and politicians are all some possibilities you should be considering. Get yourselves prepared and ask for a meeting. Send an introductory email with a few bullet points of what you wish to discuss, and ask for a meeting. Set up your meeting, plan for it, and…..go! At the meeting, ask what the next steps are. Do you need to be on the agenda at a school board meeting? Do you need to write a formal proposal? Do you need to work with policy writers to re-write a policy or create one? For your first meeting, I wouldn’t even be asking for their support or to create change. I would ask the steps of what you need to do to create change. Remember, this is a process. It’s unlikely that your school district will just drop it’s zero-tolerance policies because a few parents met with the superintendent. You can tell him/her that is what you want to do, outline why, list a few of your alternatives, and ask for the next steps. If you are talking about state government, that will be a long process, but it can be done. I have seen moms go so far as to assist with writing bills that are then sent to committees in the legislature. Don’t doubt yourself, you can do it. Become a change-maker: At this point, you should be able to see if your idea is gaining traction or not. Do you have a lot of support? If not, you have to gather it. Use whatever tools you have to grow your group. Talk to politicians individually, including school board members. Find supporters to run for school board or other important positions. Use the media, but cautiously. You would think that anyone who watches a video of kids with special needs being abused would be horrified. Right? Wrong. Remember, you are trying to create change. If everyone in your district saw our kids the way we do, you likely wouldn’t have to create change. And many are unsympathetic to our plight. Do not assume that “If they just knew what we go through….” that they will develop the eye lens of sensitivity that we have. Many do know and don’t care. So if you are going to use the media, be prepared for all feedback. If you don’t think you could handle negative feedback, don’t go to the media. Many people see our kids are just behavior problems, burdens, liabilities, and problems that public schools shouldn’t have to deal with. No matter how well written your op-ed piece is, not everyone will agree with you. Stay in it for the long haul. Systems change takes time. Vote in every election. Go to town halls meetings with politicians. Go to occasional school board meetings. Be an active member of your community. There are other smaller-scale things you can do: Call your State Rep or Congressman, call the Dept of Ed, but I would not expect much. Always nice to be heard and go on record, but it likely will not result in much more than a temporary change. Be aware of the political climate. Timing can be everything. « A Parent’s Guide to Doing Pet Therapy with your Disabled Child.